M81 is an Sb galaxy with a mass of 50 billion sun masses. It has two distinctive spiral arms empracing a big bright centre. The vast galaxy centre is potentally connected to a giant black hole which is estimated to have a mass of 70 billion sun masses. 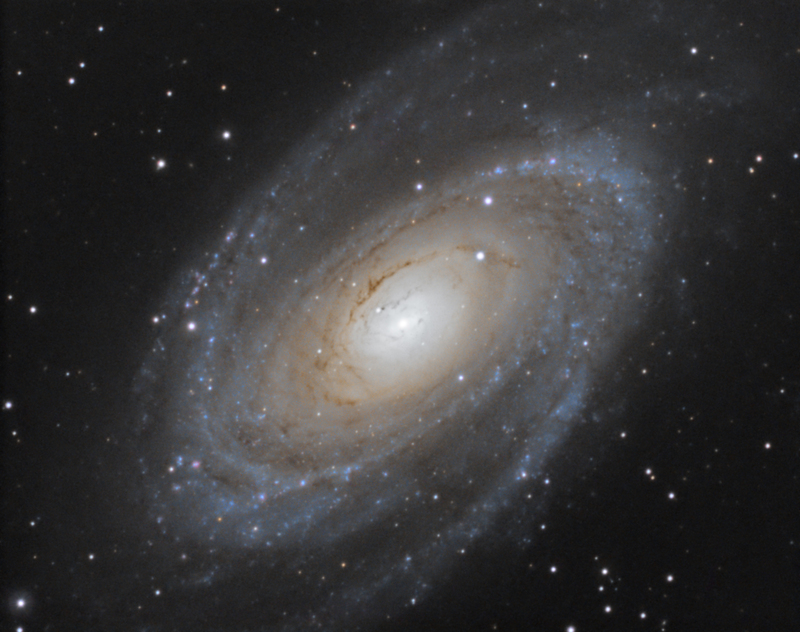 M81 is the largest member of the nearby galaxy cluster which has a large number of members. M82 in a distance of 150,000 light years only caused deformations of the tidal structure of M81 due to the tidal forces whencoming closer 500 million years ago. There are assumed to be 200 globular clusters in the halo of the galaxy; 70 of which were confirmed in 1995.